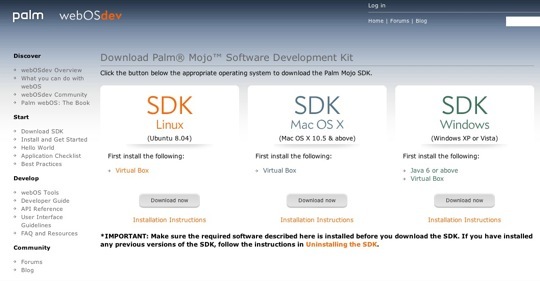 The SDK uses VirtualBox on OS X/Linux/Windows and requires a Java install. Interestingly, a simple XHTML file is basically the only thing you need to write to create a Hello World application. 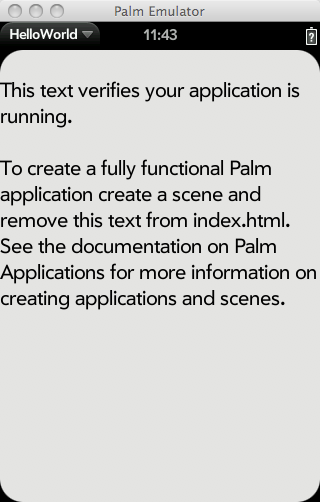 To create a fully functional Palm application create a scene and remove this text from index.html. See the documentation on Palm Applications for more information on creating applications and scenes. That’s right: it’s just HTML. So dig in, Devs. You can start submitting your finished applications to the App Store in the Fall.